Good digital marketing is driven by tangible results. 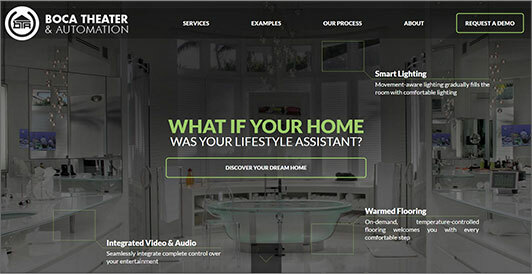 What Can BRAVADO Do For You? Our team is ready to help your business grow. Whether you want to increase your website sales, build brand loyalty, or launch a new product or service, we have the skills to make it happen. We know your time is valuable and we will never waste it. As a marketing agency, we value collaboration and rely on the unique strengths of our team to create well-rounded and innovative marketing campaigns. If you are ready for a marketing partnership built on transparency and scalability, let’s talk. Boca Theater & Automation is the defacto standard for elite-level home theater and technology options in south Florida, providing unmatched, lifestyle-enhancing technology options to high-end homeowners and business magnates. They approached BRAVADO with the need to re-think their public-facing brand and web presence, in addition to business cards and signage. 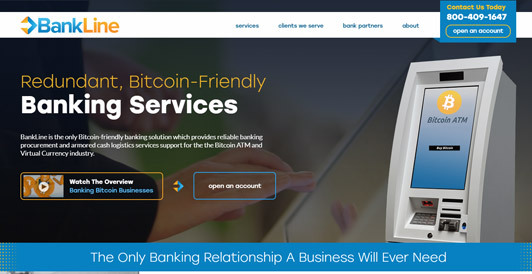 BankLine, the only truly Bitcoin-friendly banking option for Bitcoin ATM operators and exchanges, approached us with the need to create a scalable brand presence, powerful messaging, a modern/accessible web platform, and provide for the engine that drives new potential customers to visit the website. 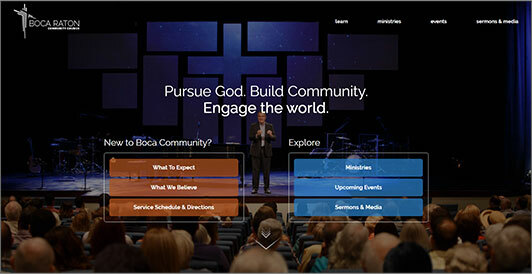 Boca Raton Community Church asked BRAVADO to plan and create a web presence that represents the outreach-minded spirit of their church, complete with an extensive, searchable media library, flexible staff engine, and an extendable events calendar. The project, spanning the course of 90 days, was completed on-time and on-budget. 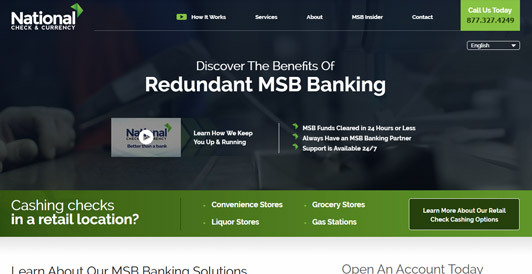 National Check & Currency approached us in 2008 with the need to build a brand mark, web presence, and full spectrum of print media that represent the game-changing, redundant banking services that they offer to money service businesses (MSBs). We are so proud of their growth and continued success. 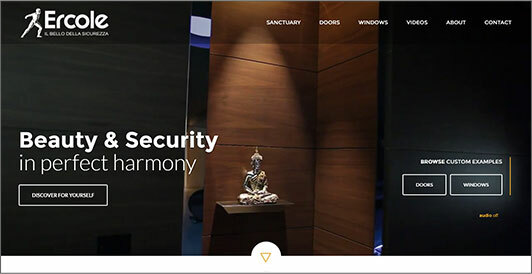 FBS Doors, the leader in intruder-immune, secure doors and windows, approached BRAVADO with the need for an elegant, easily understood brand mark, informative web presence, and enticing print media that included trade show booth signage, handouts, and brochures. 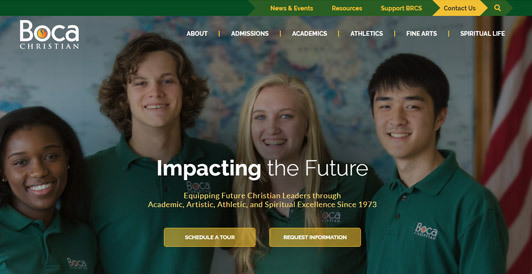 Boca Christian approached BRAVADO with the need to completely re-think the way that their students, parents, faculty, and the inquiring public interact with their programs and information. 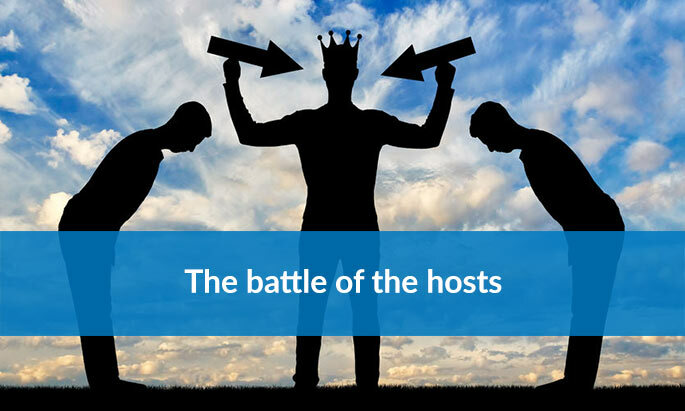 We delivered a robust, role-driven back-end/front-end that allows administrators to create new pages, events, programs and more without sacrificing aesthetics. "Strategic content delivers value with every word"